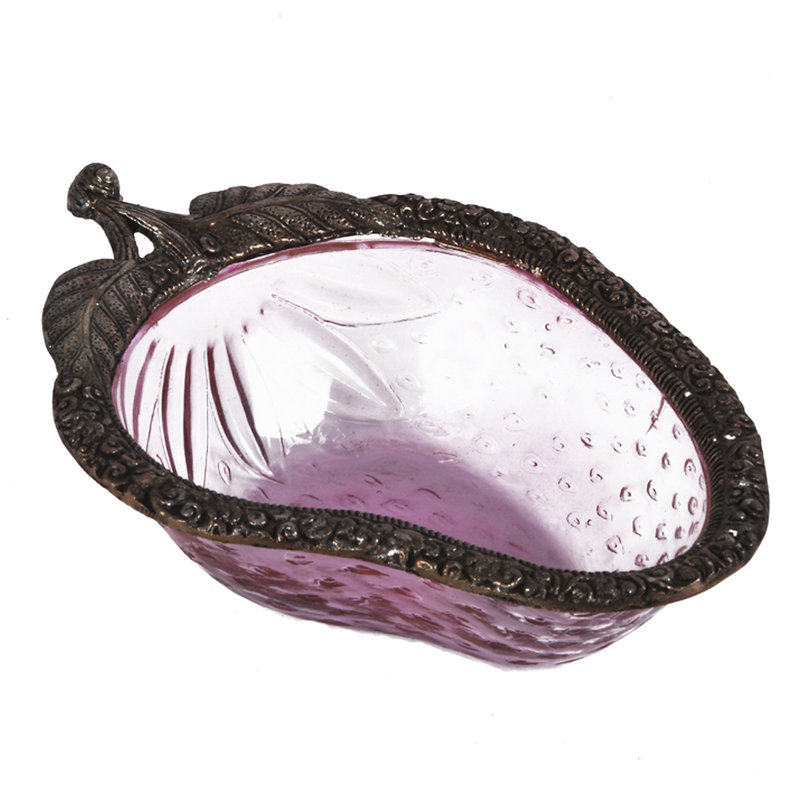 This oxidised metal mango shaped bowl makes for a great gift, and is available for awesome prices compared to other sites on the internet. 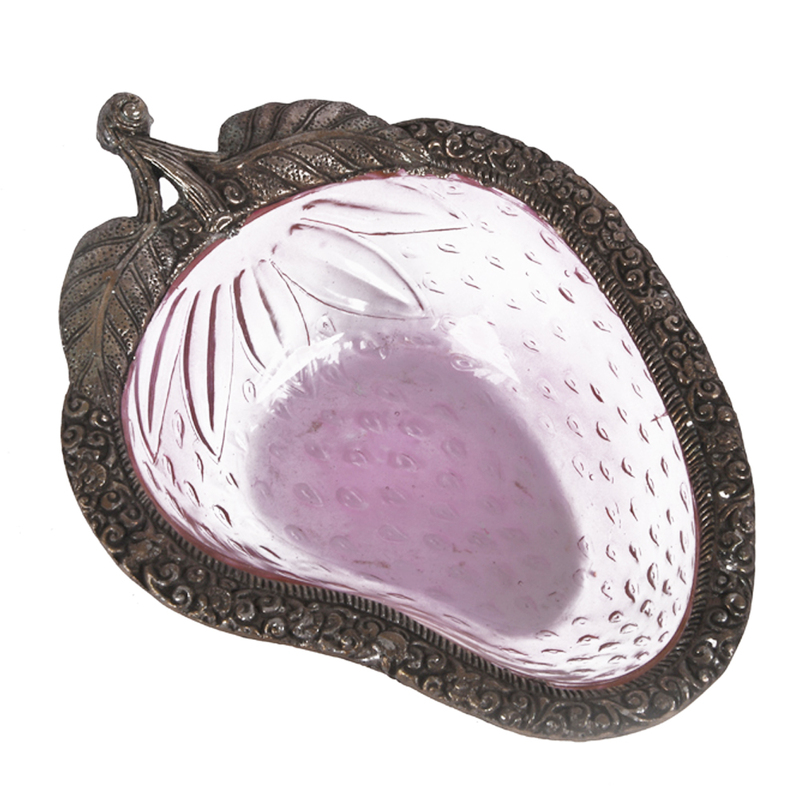 The mango shaped bowl is a beautiful piece of decorative show piece which not only exudes class, but is also a very prompt eye catcher. Read More..The depth of this bowl is not much as it is mostly used as a decorative item, but the interior of this bowl is made in a way that resembles the the design of a mango along with leaves, and twigs. 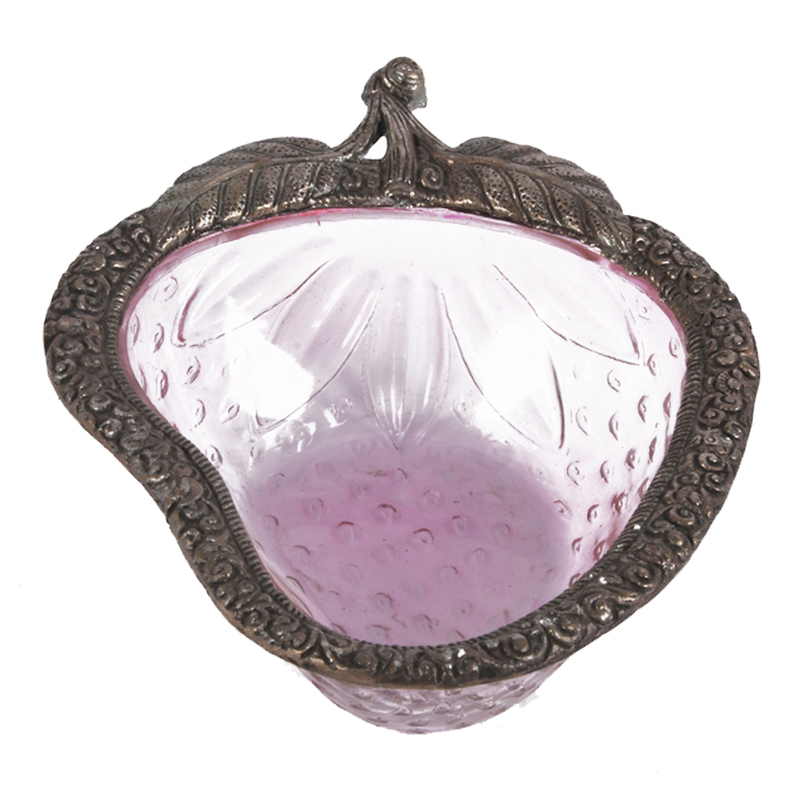 The edge of the bowl is covered in oxidised metal to provide support, and sturdiness so that the bowl does not crack, and get damaged easily. Show Less..